It is certainly a pleasure to be able to join you this evening. Breaking bread together is always a good occasion in a relationship to share good conversation, renew and deepen bonds of friendship and mutual respect, and make plans for future engagements and more successes. Let me also use this opportunity to congratulate Mr. Shyam Nokta on his ascendancy to the Presidency. A few weeks ago, in a conversation with our diaspora, at our Embassy in Washington, DC, USA, I called for a “new breed of private sector individuals”. I went on to explain that my “new breed” would be at the heart of innovation, would be using cutting edge technology, and would be joining forces with regional and other bodies to overcome deficits of financing and human resources, among others. This statement apparently generated a lot of angst among the top echelons of the Private Sector Commission (PSC), whose reaction was as swift as it was negative. Along with agriculture, the manufacturing and services sectors are important elements in any country’s economy. Undoubtedly, they make direct and significant contributions to gross domestic product (GDP) and job creation, and provide crucial inputs for the rest of the economy, thus having a significant effect on the investment of a country. Let me reiterate that it is certainly this Government’s intention to continue to take steps to create a climate for business that is conducive to creating robust and sustainable manufacturing and services industries. Growing the share of manufacturing and services as contributors to the national pie remains a priority of our Government, as we aim to deliver a more diversified and green economy. Now, a cursory examination of Guyana’s economy will show that it has grown consistently in real terms over the last decade, largely due to favourable commodity prices and debt relief. Between 2006 and 2016, real economic growth averaged 4.3 percent per year. As you know already, Guyana is a commodity-dependent exporter. So, consistent with that description, our economy’s growth over the last decade, indeed, since Independence, has been driven by one or two primary products – bauxite, sugar and, more recently, gold. In fact, six primary commodities (gold, bauxite, rice, sugar, timber and fish) contribute in excess of 80 percent of total exports. While the economy was growing at this creditable rate, manufacturing’s contribution stagnated for most of the period. Growth in the manufacturing and services sector averaged 2.8 percent and 5.1 percent, respectively over the past decade; the share of manufacturing averaged 7 percent, between 2012-16, increasing incrementally between 2012 and 2015, before falling to 6.5 percent in 2016. The same trend was observed when sugar processing and rice milling were excluded from manufacturing. Here, other manufacturing, which contributed 3.9 percent to GDP in 2012, increased to 4 percent by 2015, before returning to 3.9 percent of GDP in 2016. This dismal showing is expected to continue in 2017, when manufacturing is projected to be 6.6 percent of GDP, of which other manufacturing is estimated to be 3.8 percent of GDP. On the strength of these statistics, manufacturing share of GDP would remain constant at 6.6 percent of GDP in 2017, five years after it would have achieved that share in 2012; while other manufacturing would have regressed over the same period, from 3.9 percent of GDP in 2012 to 3.8 percent of GDP in 2017. Continuing with the state of the economy, we have seen growth taking place in the context of low inflation, while the public debt has been maintained within sustainable levels; at the end of 2016, it was approximately 46.3 percent of GDP. In spite of positive economic performance, sustainable, broad-based growth remains elusive. Our economy remains vulnerable to terms of trade reversals, climate variability, environmental degradation, natural disasters, and other exogenous shocks. As a result of the early Budget 2017, which was presented in November 2016, we have witnessed an expanded pace of implementation relative to last year. However, weak institutional capacity continues to hinder the ability of the government to provide adequate social services and physical infrastructure, and a reliable regulatory framework to support private sector growth. All of this have combined to give the country a very low rating – 127 out of 188 countries – on the UNDP’s Human Development Index, with a score of 0.68 compared with the regional score of 0.75 for Latin America and the Caribbean (LAC). Notwithstanding an improved score of 3.4 out of 7 in 2016 compared to 2.8 in 2006, the government is acutely conscious of the country’s underperformance in many indices of the World Economic Forum’s Global Competitiveness Index (GCI) related to the quality of our institutions, governance, ease of doing business, and competitiveness. A competitive, diversified and more inclusive economy is essential to improved trade performance, the expansion and sustaining of job creation, the strengthening of revenue generation. The government’s medium-term strategic vision aims to improve institutional capacity and create a prosperous climate for private sector activity. As expressly stated in Budget 2017, the objectives are to (1) stabilize the economy and public finances; (2) design the necessary legislative, regulatory and policy framework to manage oil and gas revenues and oversee the sector; (3) encourage and support entrepreneurship; (4) create more job opportunities; (5) boost innovation; (6) reform business facilitation; (7) build climate-resilient infrastructure; (8) improve the quality of life; (9) address poverty; and (10) reform the public and financial sectors. While the global economic outlook has improved moderately, Guyana cannot rely on external developments to alleviate domestic growth constraints, especially given its elevated status of upper middle income country, with the attendant loss of concessional resources for development. Progress will require more collaborative partnerships across our society. The next phase of growth is about the dynamism and agility of the private sector and the synergies between the private sector and government. The recent completion of the Green State Development Strategy Framework (GSDFS) document, which has been placed online for comment, provides a strong platform for such collaboration and the transition to a faster growing, more inclusive economy. The broad thematic areas will include alignment of national goals to international commitments including the achievement of the Sustainable Development Goals (SDGs). National consultations will soon spread across the country. These are expected to last well into 2018, to ensure the final strategy has wide participation and buy-in from all groups within our society. the preparation of draft SWF legislation by the Commonwealth Secretariat. This draft has benefitted from extensive comments by a number of our multilateral and bilateral partners. An inter-ministerial technical team is being formed to oversee the finalization of this draft, which will then go to the Cabinet. After that process is completed it will be made available to the public for wide consultations, before being introduced into Parliament. development of a time-lined work-plan on what public and private sectors need to do to prepare for first oil and thereafter. I am aware that several private sector engagements with Exxon have already yielded expanded business opportunities for many of you, and we anticipate there will be more in the coming months and years. However, let me categorically state that the DIVERSIFICATION of our economy, with or without oil and gas, is our number one priority. We are passionate about this, having witnessed what has happened to many countries with large natural resources wealth, which squandered the opportunity to use those resources for economic diversification. The painful consequences of crises and adjustment cycles have been observed, whenever oil prices drop sharply or persistently, or when the resources are exhausted, as they do ultimately. We have an opportunity to make Guyana a model country in terms of our responsible use of the oil and gas resources. To this end, balancing the amount we save for inter-generational security and stabilization, one the one hand, and investing in the expansion of the economy, on the other are the core issues that will drive future discussions in this area. The exemption of duty on the import of machinery for use in the manufacturing process and raw materials were maintained; in addition, the importation of raw materials has been done free of excise tax since 2016. Manufacturers are also granted waivers on duty and taxes for items that are not listed on the approved list of raw materials, providing that applications are made to the Council for Trade and Economic Development (COTED). In this regard, the Ministry of Foreign Affairs has facilitated several private sector companies, over the past 6 months, in their approach to COTED. Further, in response to the numerous complaints of extended processing time to clear imports, several initiatives were implemented by the GRA that resulted in significant reduction in processing time. We have seen the introduction of the ‘Trusted Trader Status’ to compliant importers, including manufacturers. This status entails less frequent checks, and less documents and physical examinations that are subject to internal controls. Manufacturers no longer have to over-stock to reduce the lengthy processing time to clear items, thereby facilitating better inventory and cash management. 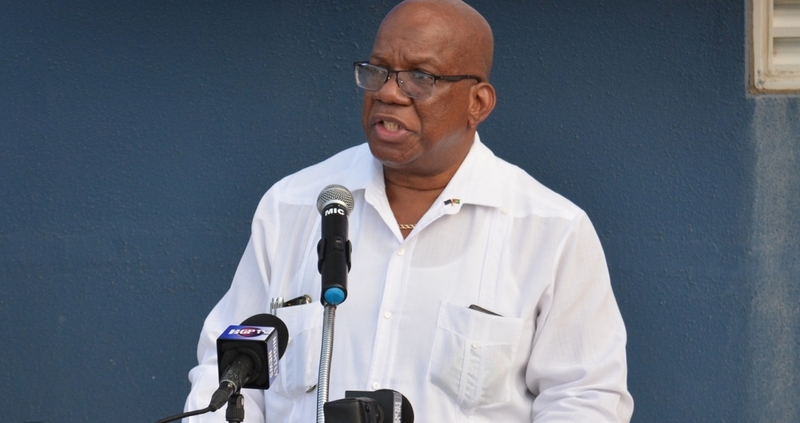 As mentioned in Budget 2017, the implementation of the Single Window Automated Processing System (SWAPS) and the successful installation of ASYCUDA – for which a contract has already been awarded to acquire the software from the UN – would enable information sharing, reduce red tape and ease doing business in Guyana. Another major initiative that was implemented to boost the manufacturing sector was the granting of 1-year tax exemption letters, as opposed to the previous system of approval per consignment. Additionally, the manufacturing sector benefitted from a reduced corporate tax rate, declining from 30% to 27.5%. In addition, manufacturers who generate sales of under $15 million are exempted from registering for VAT. Further, the VAT rate was reduced from 16% to 14%. Previously, entities that were mainly zero rated were required to pay VAT on imports and subsequently make claims for VAT refunds. However, effective February 1, 2017, legislative changes were made to grant tax exemptions on the import of raw and packaging materials for importers that export 50% or more of their products. Additionally, the financial obligations of companies which are engaging in the manufacturing of exempt supplies were considered. On this basis, VAT exemptions are granted for the local and overseas purchases of raw materials and packaging materials for companies producing exempt supplies. Another benefit was the increase in the statute of limitation from 3 years to 5 years, thus entities have an additional 2 years to claim for VAT credit. These initiatives were implemented to reduce the cash burden that was previously faced by manufacturers. Procedures were put in place to grant compliant companies one-year Tender Compliances instead of the previous 3 months. The GRA has also moved towards a timely payment of VAT refund to compliant taxpayers. Wow! that was quite a mouthful. I hope you are taking advantage of all of these measures to retool and expand your industries. we are pursuing an export and investment promotion strategy, with support from the Inter-American Development Bank, that will see the enhancement of the national quality infrastructure, inclusive of the construction of a modern, state-of-the art laboratory. strengthening the capacity of the Ministry of Business, including developing an information system for the network of laboratories; improving data gathering capabilities on exporters needs on quality and standards; and improving information dissemination, awareness and capacity building. construction of two modern abattoirs in Regions 5 & 9.
undertaking a study, supported by the Caribbean Development bank, to quantify the demand for development finance resources by target groups so as to inform the feasibility of establishing a National Development Bank. We aim to break the back of the excessive and unnecessary import of a range of food items and other products, which were either previously manufactured in Guyana or which can be easily manufactured in Guyana. Mr. Chairman, your government has heard the calls for reducing the cost of capital and, to that end, a suite of reforms is underway to transform the domestic financial landscape. Domestic financing instruments have been identified as the cornerstone of the development of a market for government securities. As such, consideration is being given to deepening the primary market and the establishment of a secondary market. The government invited an expert mission to advise on this initiative; the recommendations were submitted last week and are currently being reviewed. Modern public debt management legislation is being drafted to capture roles and responsibilities of institutions and entities in keeping with international best practice. This legislation will replace the ad hoc and dated pieces of legislation in this area of public financial management. A public private partnership (P3) policy framework has been drafted and I have assigned a technical team to review it. The draft framework benefitted tremendously from the views of the private sector. 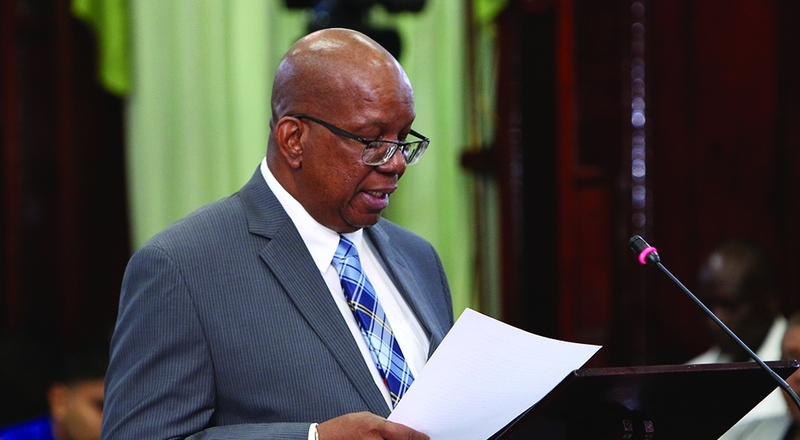 it will be recalled that the Ministry of Finance recently chaired a dialogue with the private sector, during which your input was sought for a P3 model with various modalities of delivery. Once finalized, this policy framework will guide the upcoming future P3 engagements, including those envisaged for the New Demerara Harbour Bridge, which will be advertised by the third quarter of this year; and the Linden/Lethem Road. The government will do the stretch of the road, from Linden to Mabura Hill as well as the crossing at Kurupukari. The remaining stretch, from Mabura Hill to Takatu Bridge, will be divided into 2 lots and will be put out to tender by end of this year. Funding has been secured for the implementation of a Cashless Payment System in Guyana. This will facilitate real time payment and settlement within and outside of Guyana, will support more efficient trade transactions, and reduce the incidences of robberies. In the GMSA’s submission for consideration in Budget 2017, a request was made the review and change the rules of the Securities operations, so as to encourage listing of companies. I am pleased to report that we have a first draft of the new securities legislation. Following the consultations and comments from stakeholders, a second draft is expected at the end of July of this year. The new securities legislation will give birth to the collective investment scheme; it will allow a central depository and will address the rules regarding listing of companies. The only credit bureau in Guyana, CreditInfo, has reported an upsurge in the use of their facility, following the amendments to the law in January 2016. Twice the volume of data has been uploaded to the credit bureau database and three times the number of reports have been issued between January 2016 and January 2017. All financial institutions are uploading data to the credit bureau and all microfinance institutions have now signed on. This augurs well for the private sector in the context of risk management and the de-emphasizing of immovable collateral when accessing loans from financial houses. As we expand the range of options for financing both government and private businesses in Guyana, the government will study the benefits of acquiring a credit rating from a reputable rating company. A favourable credit rating can improve the country’s image in the international financial markets and lead to a lower cost of borrowing. Mr. Chairman, the cost and speed of data flow and connectivity is another critical and catalytic infrastructure priority. Having passed the Telecommunications Act 2016, which paves the way for liberalization of the sector, the government is in an advanced stage of negotiations with GT&T with respect to transitioning to a competitive market for telecommunications services. This is expected to result in lower communications’ costs as well as facilitate entry into the sector by other private sector investors. At the same time, the government is expanding e-Services and e-Enabled Services, and investing in technology to enable efficiency and transparency in the delivery of government services to your firms and to our citizens. A good example of the use of connectivity in our hinterland is the Visit Rupununi Guyana website that is operated from a Lethem office and connects all the businesses that offer tourism services. I am aware that they are working through the AML/CFT requirements to effect an online payment system, which would create more business opportunities for the region. The private sector is not only positioned to benefit from better and more cost effective services, but also from access to investment opportunities, as government looks to partner with private capital to develop certain aspects of the service delivery infrastructure. Mr. Chairman, turning to the cost of energy, Guyana has committed to 100% renewable energy by 2025. Work is ongoing to ensure the expansion of renewable sources of energy from solar and mini, micro and pico hydro facilities. Further, as a transitional fuel option, the natural gas supply is being explored by the government with Exxon. Liquefied natural gas promises to be an option that can contribute to lowering fuel costs in the medium to long term. Costs are being reviewed to determine feasibility including the possibility of a micro liquefied natural gas station and distribution via trick and barge, which may be able to extend the range of consumers to include those residing in hinterland regions. This apart, renewable energy sources remain a top priority. This year, over $200 million was allocated for a 400 kW solar farm at Mabaruma, which is expected to be operational four months after the contract is signed. The Mabaruma community enjoys a mere 8 hours of electricity per day currently; however, upon operationalization of the solar farm, residents will benefit from a 24 hour supply, using both diesel and solar sources. This type of investment will be replicated in other communities in upcoming budgets. It is worth noting that, of the eleven (11) measures in Budget 2017 that are aimed at promoting the green agenda, nine (9) are related to tax exemptions, tax reductions and tax holiday. This was deliberate; they were designed to make the financial considerations easier for you in determining how you incorporate green approaches in the execution of your operations. On that, I wish to heartily complement Demerara Bank and Citizen’s Bank for going completely solar in the power generation at their Camp Street locations. Kudos also go out to Nan Persaud for exemplary work, in this respect. Mr. Chairman, while on this subject, I wish to ask of your members: How many of you, apart from those just mentioned, have taken advantage of the tax exemptions to advance your own operations using solar energy? I submit that, given the regional tax concessions to hinterland locations and the tax concessions on renewable energy infrastructure, your members would be well advise to seriously consider locating more manufacturing and services industries in those locations. I would be excited to know which of you will be the first to establish an electric docking station or drive the first fully electric car to replace your expensive Hummer, Prado, Fortuna or other gas-guzzling vehicles. These are just a few of the innovative routes that can be explored. All of our reforms and innovations will be best placed on the foundation of an educated population. Our government recognises that, in spite of the enormous resources that have been invested in the sector, the education sector has failed to provide the quality of labour and entrepreneurship to drive creativity and innovation that are so badly needed across our public and private sectors. This is why is His Excellency President David Granger has recently created the Department of Education Innovation and Reform. This will include a focus on STEM to ensure greater readiness for sciences, and consideration for the inclusion of a Chemical Engineering programme at the UG to support the transformation of resources and ultimately our development. Mr. Chairman, the private sector cannot thrive based only on government. In fact, the most innovative private sector players thrive in spite of Government. In our manufacturing and services industry, there is much room for innovation and creativity. We live in a world where customers demand the highest quality, the latest and greenest features in the product being offered, immediate delivery, lowest prices and the best service. Branding of our products should allow the words “Made in Guyana” make us stand taller with pride, not shrivel in shame. Attention to the consistent achievement of quality and standards, whether we are making fudge or plantain chips or rum, must be the hallmark. If the world recognises that we can be depended upon to deliver then that trust and reliance nationally, regionally and internationally will translate to profits. In a recent presentation to the Annual Conference of the Institute of Chartered Accountants, one of our leading CEOs Mr. Komal Samaroo, highlighted the innovative approach taken to sell what he described as formally the cheapest of spirits. He said, “When the company introduced its Eldorado Brand on the international market, it decided to go to the very top of the value chain with the launch of a 15 year Old Eldorado rum, recommended as a ‘sipping rum’ instead of a mixing rum. It was a new innovation in the rum category and it started the new trend of premiumization of a product”. I want to be able to quote more of these examples of Guyanese producers that aim high, that recognise or create niche products, that utilise to their advantage, our geographical indications, as we establish and expand sustainable economic ventures. I recognise that the mindset of a manufacturer or certain service providers is certainly a more long term vision than the trader who simply ‘buys and sells’. The cashflow turnaround is faster, in the case of the latter, and often it seems that there are more traders of imports than makers of exports. The investment and longer turnaround time, and testing and re-testing that is required in the world of product development, may appear daunting to those who wish an easy cash turnaround, rather than figure out the right balance of throughput, inventory and operating expenses over a longer period, while creating a unique product. We need more of our private sector practitioners to adopt a longer term vision in the development of goods and services. Mr. Chairman, before concluding, let me say how heartened I am by the approach being taken to engage the government in a more structured manner. In support of more effective dialogue with the GMSA, I am willing to take to Cabinet, a proposal for three joint round tables annually, on mutually agreed agendas, involving the a sub-group of key Ministers. I am proposing a sector-focused approach, possibly starting with forestry, since you have written to me already on issues affecting that sector. This approach would support greater focus and enable us to measure our partnership through improved sector production, innovation and your own profits, as well as the targeted impact of these roundtables even as we collectively drill down to sector-specific diagnoses and solutions. In concluding, Mr. Chairman, let me say that your successes are national successes. I, therefore, look forward to a close working relationship, in which the excellence of partnership overwhelms the flight to partisanship. Our conversations must recognise what is good for our nation, and not simply for a single producer. Importantly, transparency and good governance must be a two-way conversation and be demanded of each other and met by both sides. The dialogue needs to be more structured, more focused and more frequent. We have to work to ensure that our engagements are both efficient and productive, which means we come to the table prepared with evidence not anecdotes. I look forward to our future work together, as we dedicate our energies towards moving the manufacturing and services sectors to occupy larger and more sustainable shares of our country’s productive capacity. A toast to each of you and those you represent as a collective – you are all individually and collectively important drivers in shaping the development trajectory of our country. Let us shape a nation that is diversified and resilient – one that bristles with pride when the words “Made in Guyana” are spoken, written or otherwise mentioned.